Turning the key to unlock the door of your first home is an exhilarating feeling. There are few times in life when you’ll be as enthused and confused at the same time. Maybe you have everything under control, but the place you’re going to be calling home might not seem as perfect as the first time you set eyes on it. There are reasons you fell in love with your new place, so don’t get too caught up in the moment-to-moment setbacks! 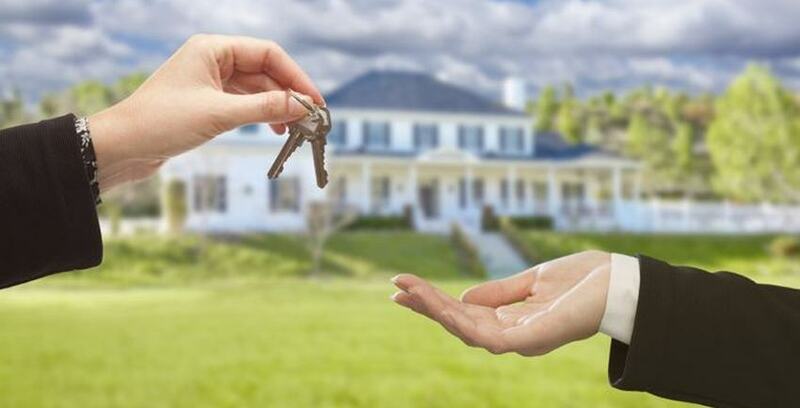 Whether you’re frantically wishing you had an owner’s manual to help you with the process or blissfully moving closer to enjoying your new abode, read these 4 things you need to know before buying your first home. It’s easy to get caught up in the excitement of walking into your new home with a box full of decorations and a vision of where your furniture is going to be placed. Remember to keep your eyes open. Where do you see yourself in five years? If you foresee a change in your career, an addition to your family or a need to relocate, think now of how those alterations will affect your home instead of later. This is a big one. Being financially stable is one thing, but being financially ready means taking a look at your credit score, interest rates, and moving expenses, among other costs. Don’t be too surprised when hidden costs surface that you didn’t think to consider as you purchased your home. You’re going to be walking in the front door to your new home every day — and you’ll also be walking out of it. Take a stroll around the neighborhood to be sure you’re getting what you’re expecting. Just because you like the home doesn’t mean you can ignore what’s around it. Are your favorite restaurants nearby? Are you going to feel too isolated or too close to the action? Traffic, commute times, school districts, and neighbors are just a few things that have a large effect on where you’ll be living. Conduct a thorough home inspection and hire an expert to determine if the home is ready for move-in. Make sure major issues are worked out or explained before you hand over the check. A leaky roof or unstable foundation is an unwelcome surprise in Week 2 of your new venture. It’s also a good idea to work out any personal financial issues before the actual buying process. Keep things running smoothly by working out the issues beforehand instead of just as you’re moving your things in the door. If you need a place to store your things as you enter the home-buying process, Storage Direct can help. We offer short- and long-term storage solutions with the finest customer service. If you have any questions about self-storage, like what sizes are available and how the process works, check out our self-storage guide. Contact us today to find a location near you.